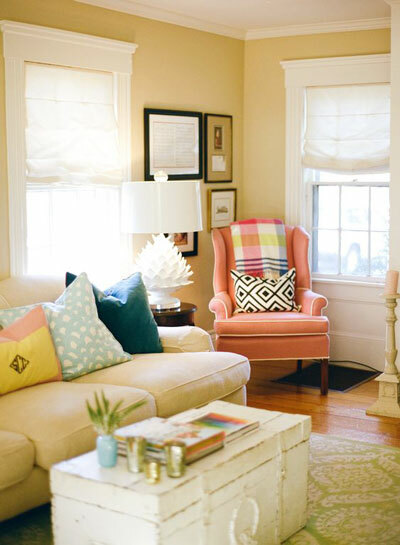 Having a cute living room design would be every girl’s dream since almost every girl loves everything that looks cute. Actually, choosing a cute design for the living room is not as hard as we can imagine. We just need to see some references that we can use in order to create one for ourselves. And here, we have some good designs that you can copy and apply for your living room. The first design uses a colorful color on the whole room starting from the wall, furniture and the floor that makes the living room looks so cute. The use of antique pot, wooden table, and flower pot on the classic style window also gives a beautiful impression. This design will make our living room looks really good. We add this design to our list because it uses a lot of furniture with a unique pattern and cheerful color. 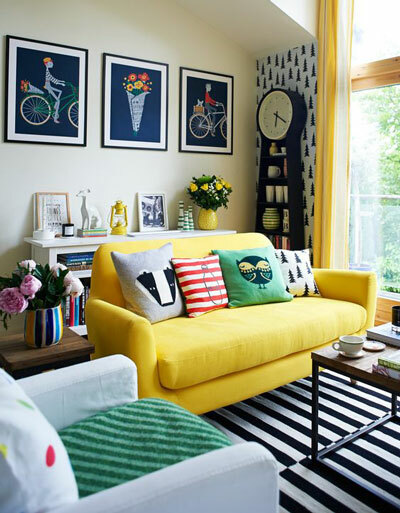 Just take a look the sofas where one of it uses a yellow color and the other uses the blue color which combined with a black and green stripe pattern. In this living room design, the designer also uses some colorful pillows with a beautiful pattern that will make the room looks cheerful. 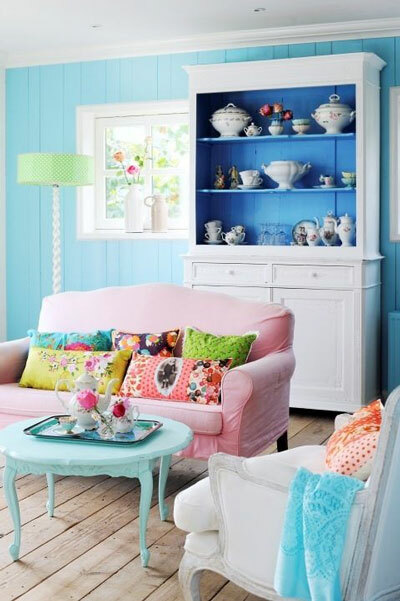 Using a pastel color will make our living room looks cute. 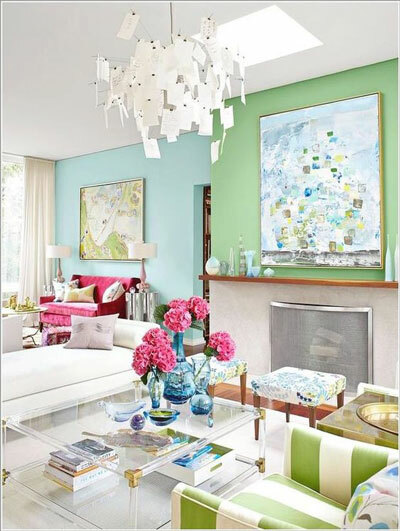 As we can see, this design uses a lot of pastel color for the furniture as well as the wall. The color like peach, cream, and soft pink are used in this design. The design beautifies with the existence of the soft pink chair with a beautiful design. This one would be suitable for the pastel color lovers. A simple living room also can be cute if we can manage it well. Just check out the example picture above where the design is quite simple but still cute enough to see. The designer uses a love wallpaper pattern for the ceiling and a fur carpet to cover the floor. The design looks cuter with the existence of a unique ceiling light, some wall decor like the photos that formed a heart shape and a beautiful writing. The last design is combining the neutral color like white and gray with the light green, light blue, and red velvet for the furniture and the wall color in order to create a cute impression. As we can see that all the sofas are having a different color from one to another as well as the wall color. A design like this will make our living room looks cheerful and we will enjoy our time there so much. That is all the five cute living room designs that we can share with all of you. We really hope that it does not only entertain you with the stunning designs of each example but also give you the inspiration to create a cute living room. If you still need the other living room designs, you can simply visit the best home design website Roohome.